(706) 864-0790 and request your free site assessment. 1. Electricity generating solar panels are safely and securely mounted on your roof or on the ground. 2. The electricity from your solar panels is fed into an inverter which converts the solar electricity to a usable form. 3. The performance data of your system can be accessed via the internet in real time! 4. The electric panel in your home or building now receives electricity from your panels. Your home or building is now receiving solar generated electricity. 5. Your electric meter can back-wards when your solar panels are generating more electricity than you are using. 6. Excess electricity from your solar panels is sold back to the electric grid. Assumes your hot water costs $80 per month. You just saved the environment 1.5 Tons of CO2 emissions in 1 year! And it keeps on giving! Solar panels capture energy from the sun. That energy is then fed to an inverter which converts it from DC into AC power, making it suitable to meet your home electric needs. National standards allow solar power owners to connect to local utility grids, “store” their power on the grid and take it back when needed. This is called net-metering. Solar power systems have no moving parts, use no fuel and release no pollution. Owners usually experience payback within 7-12 years. Enjoy peace of mind when you have a solar electric system installed on your home by LVS. In addition to saving a significant amount of money on electricity, you are protecting the environment. Some Georgia utility companies have programs that help homeowners pay for solar systems. For a complete list of available state incentives, visit: www.dsireusa.org and click on Georgia state. The federal government allows homeowners to "write off 30%" of a solar system. For more info, visit: www.dsireusa.org and click on Federal Incentives. other alternative energy solutions, call (706)864-0790. You can save money producing your own clean electricity. Reduce Or Even Eliminate Your Electricity Bill. Your LVS system will produce electricity during the day and sell excess back to the utility grid. A recent study from the Appraisal Institute showed the selling price of homes and businesses increased by $20.73 for every $1 decrease in annual utility bills. For example, a system that costs about $12,000 will increase the value of your property by $20,000. Cash rebates, tax credits and deductions can pay for up to 65% for residential installations. Commercial installations have the added tax benefits of depreciation. A 2.5kW solar system reduces C02 emissions by an amount similar to that which would occur by planting 1 acre of trees or the amount of C02 emitted by a passenger car driving 7.800 miles per year. Our services include permit processing, system design and installation, rebate administration, financing, energy efficient consulting, and system monitoring. 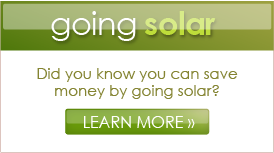 Our goal is to get you saving money and producing clean energy in a way that is unobtrusive and easy for you. Design and Installation: LVS Homes provides you with a high quality solar system that looks good, protects your roof, and maximizes performance. Administration: All administrative tasks like utility interconnection agreements, applying for state and federal incentives, and building permits are included in a LVS System. Energy Efficiency: By combining an LVS Solar Power System with energy efficiency you are able to make even greater savings on your electricity bill. LVS Homes will size your solar system according to your post energy efficiency usage and budget. After we have assisted you in permitting and rebate administration tasks, LVS Homes schedules an installation date and orders your system. Our professionals will install your system, a process which typically takes about 2 - 5 days depending on the size of your system.